Nowadays, there are a lot of different luggage manufacturers. Naturally, that also means that there are a lot of different types of luggage. But the truth is that most suitcases look very similar to one another, especially the hardshell ones. 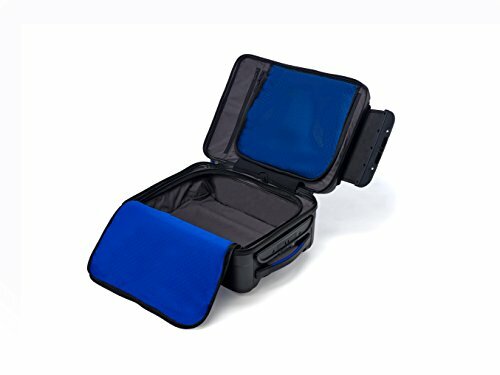 That is why in this review, we are going to check out some awesome unique luggage. There are a few different things that make a piece of luggage unique. First, we will take a look at what those things are, because different types are better suited for different travellers. Second, we will review all the most popular unique suitcases, to help you decide which one is the best fit for you. 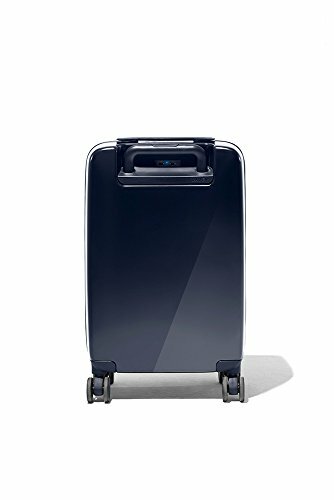 So, if you are looking for something different; a suitcase that is easy to pick out among dozens of others on the carousel, scroll down for the review of the best unique luggage! 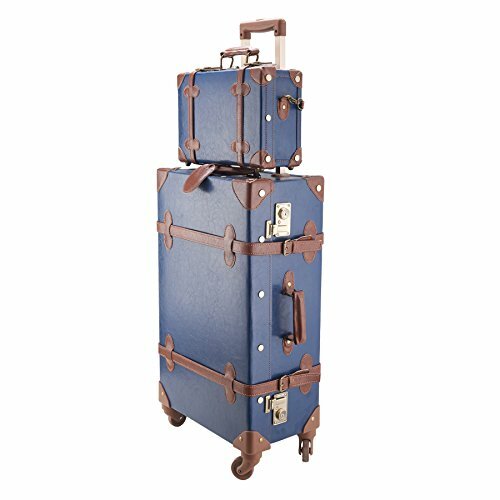 Which Unique Luggage Is The Best Choice For Me? In this review, we will take a look at three different categories of unique luggage, for three different types of travellers. For those of you that need to improve your organizational skills, I’ve selected some great pieces of shelving luggage. 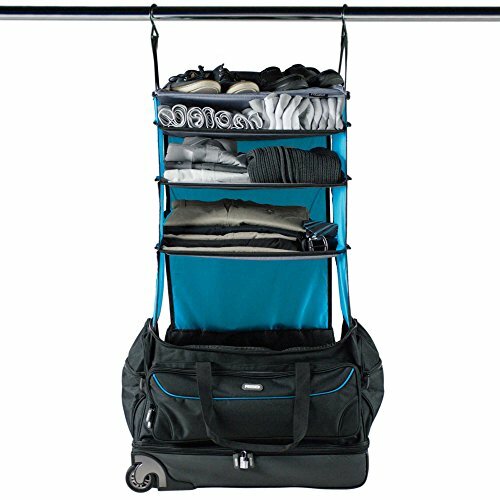 We will take a look at several bags that feature a shelving system, which allows you to hang your bag inside a closet and have all your items neatly on display. Next, we will take a look at smart luggage. These are suitcases that have several innovative features (power banks, digital locks etc. ), and they are perfect for travellers who like managing everything with their phones. 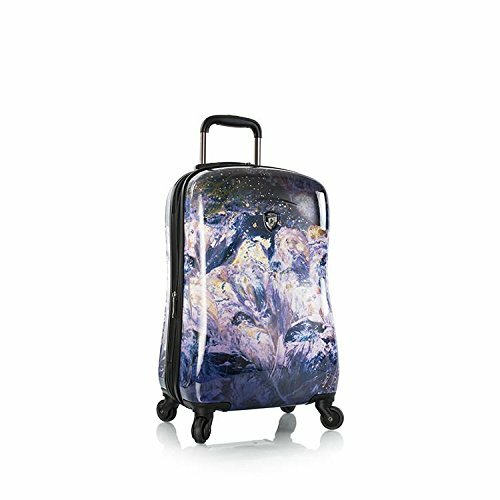 And finally, we will check out some luggage that is unique because of its exterior design. 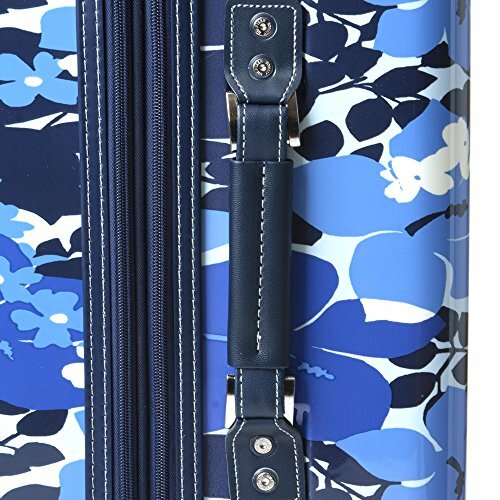 This section will feature different types of luggage, but all of which are colorful and will definitely stand out in the sea of black and silver suitcases. 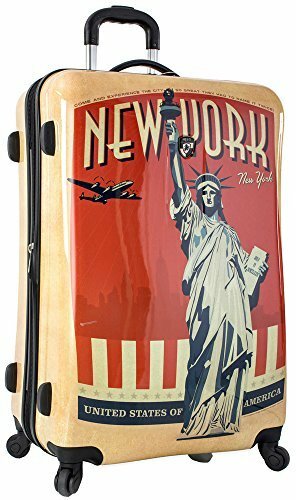 So, let’s dive straight into the review of the Best Unique Luggage! Smart luggage is definitely a unique type of luggage, and it’s perfect for the tech-savvy traveller. These suitcases have a few different digital features integrated into their design, but the most common ones are a power bank for your phone, Bluetooth and an integrated digital scale. Because they mostly have different features, let’s take a look at individual pieces of smart luggage. 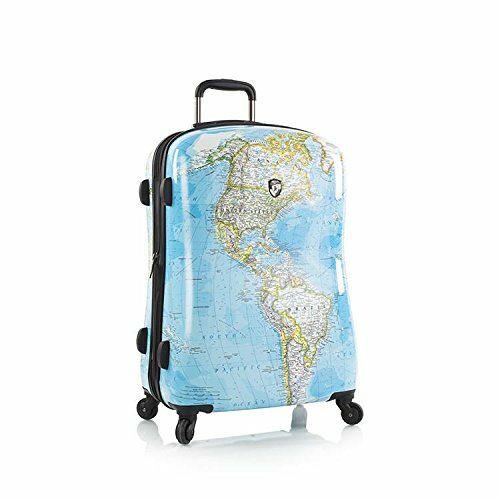 This is an awesome hardshell suitcase, with a few different smart features that will really up your travel game. I did a more detailed review of it a while back, so be sure to check that out as well. 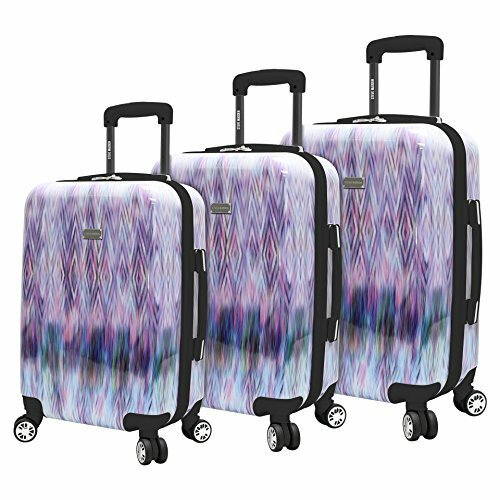 The Raden suitcase is made of 100% polycarbonate, which is a very lightweight and durable material. In fact, most high-end suitcases are also made of this material, which means that you don’t have to make any compromises in terms of luggage quality with the Raden. Additionally, this is a carry on suitcase, and it will fit into most airplane overhead compartments. As such, it is great for shorter trips, but also for anyone who usually travels light. The smart features of this suitcase include a built-in digital scale that will inform you about the weight of your suitcase, as well as an integrated 7800mAh power bank with 2 USB ports. To put that in perspective, I could charge the 3600mAh battery of my Galaxy S7 Edge twice and still have some juice leftover in my suitcase. 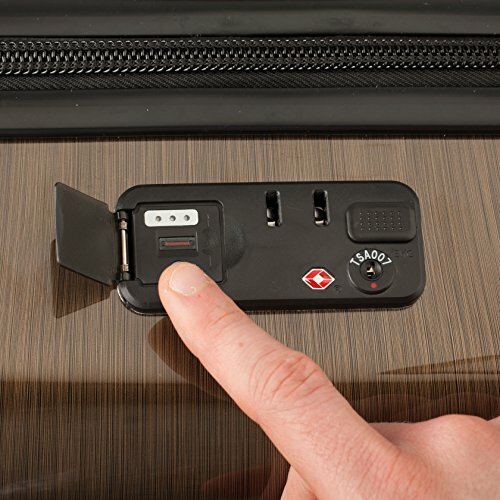 Another cool smart feature of this suitcase is the built-in Bluetooth. It allows you to locate your luggage via your phone, but also to keep a digital passport of your travels. The Bluesmart carry on is truly an innovative piece of luggage. It is designed in such a way that you can control most of its smart features with your phone, via an Android/iOS app. Unfortunately there is no app for Windows phones. If you are looking for luggage with cutting-edge technology, then this is the perfect one for you. 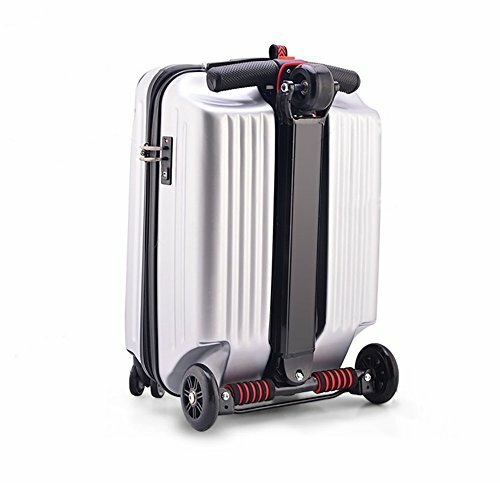 Other, more basic features of this luggage include double spinner wheels, a telescopic wheel handle and a separate compartment for your electronic devices. That compartment also has a USB port built in, so you can actually charge your electronic while they are packed, which is pretty cool. In addition to all that, there are two packing compartments, and both can be closed off with zippered dividers. 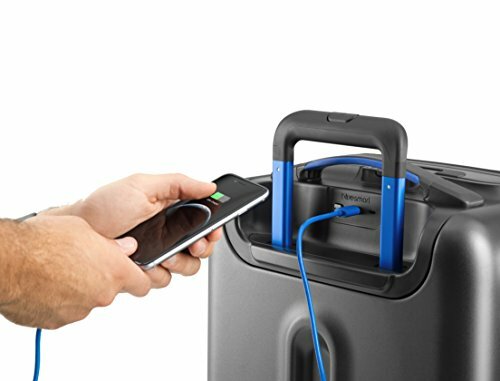 This smart suitcase has one very unique feature, which sets it apart from all the previous ones in this review. The Numinous London luggage comes equipped with a biometric fingerprint lock that is also TSA compliant. You can save up to 100 different fingerprints, and because of that, this suitcase can actually be used by more than one person. 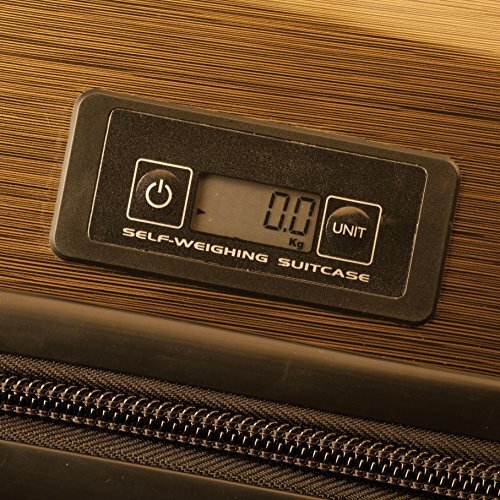 In addition to that, this piece of luggage also has an integrated digital scale. But, those are the only two smart features; there is no option to charge your phone, or to connect to it via Bluetooth. As for the other features, it’s a very basic piece of checked luggage. It has spinner wheels, a telescopic wheel handle and two packing compartments. The Numinous suitcase doesn’t have any exterior compartments, but that actually just reinforces the safety of your belongings. There is just one thing I don’t really like about this suitcase, and that is the design of the shell. It is made from a mixture of ABS and polycarbonate, which makes its bottom compartment look very weird. But, those are just aesthetics, and you can always put a luggage cover over it to make it look a bit better. In this section, we’ll take a look at several types of suitcases that stand out due to their design. They mostly have the same features, so we won’t dwell on that too much. I’m afraid I would bore you to death if I had to repeat the same features for every single suitcase in this section, so I will list just the most important ones. Additionally, the suitcases I’m about to review don’t have any smart features or shelving systems. But, they do look stunning, and you will definitely stand out in the airport with any one of them. Designer luggage is often overlooked because most people think that it’s going to be pricier than your regular luggage. And, I’m not talking about designers like Tumi or Rimowa, I’m talking about fashion designers. This set includes 3 suitcases, and I will list the dimensions of all of them below. You can get this Steve Madden set in 4 different designs, and all are pretty unique. 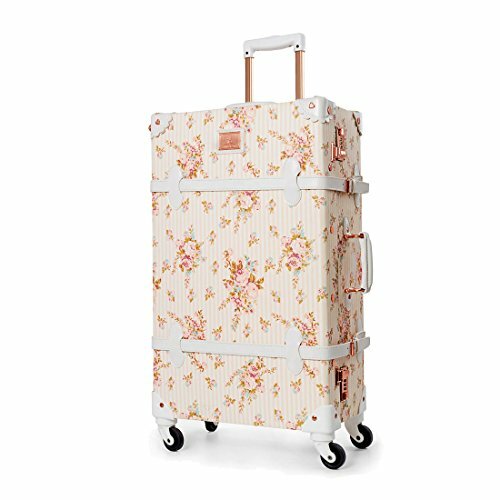 Tommy Hilfiger Floral Hardside 21"
This is a carry on piece of luggage, and it’s perfect for shorter trips. 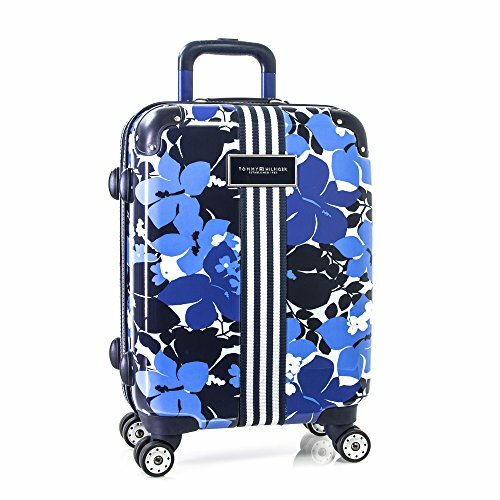 The floral print on the shell is quite different from what you find on most hardshell suitcases, but I think you’ll love its interior more. There are dividers in both packing compartments, with pockets on both sides that will allow you to stay organized in your travels. 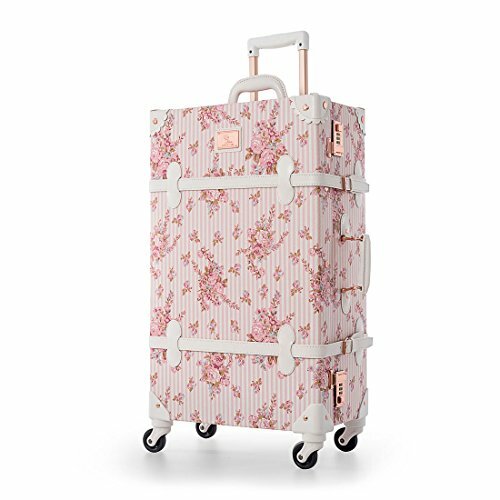 The Ted Baker piece of luggage will wow you with its gorgeous design, but also with the zippered dividers in both packing compartments. Additionally, there are several pockets on these dividers, which will really help with packing smaller items. 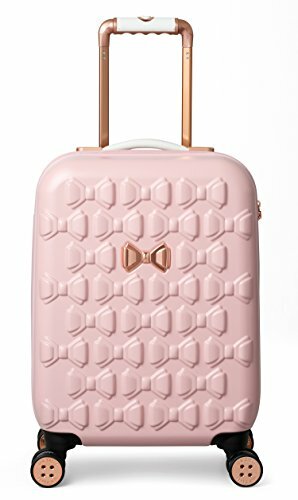 And, the best part is that both the pink and black versions of this suitcase feature rose gold accents. Need I say more? If you are looking for a combination of vintage design and modern technologies, then this is a great choice for you. This 80’s-looking luggage set is definitely something you don’t see everyday! It includes a 24” suitcase and a smaller 12” bag, both made of PU leather with hand crafted stitching. 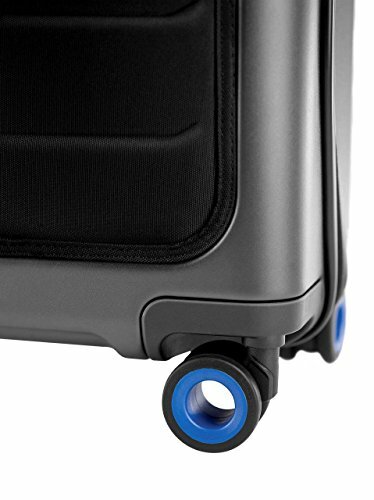 The larger suitcase has 2 TSA locks and spinner wheels – features that are not vintage at all. It opens up into one large packing compartment with a hooked divider. Also, the upper part of the suitcase has one large pocket, which is convenient for storing any items you’d want to keep separate – for example underwear. The smaller bag can be secured to the top of the large suitcase, and it’s very convenient for day-to-day adventures. Also it is great bag to have in-cabin, because it can fit all the things you will want to have handy during the flight. 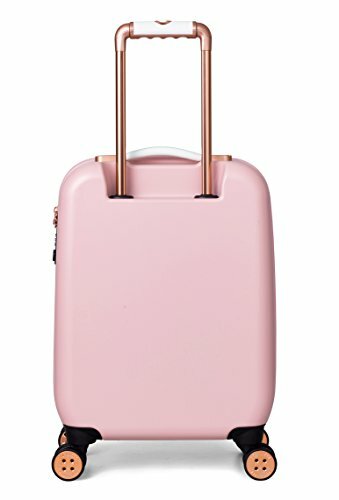 I swear I did not include this suitcase just for the rose gold accents. I actually included it because it is a gorgeous and very functional suitcase. You can get it in 4 different sizes; 2 are carry-ons and 2 are checked baggage. There is a lock on the suitcase, but it’s not TSA approved, which could be a problem if you frequently travel to USA. On the other hand if you don’t, that won’t be an issue at all. Additionally, there are spinner wheels on this luggage, so wheeling it around should be a pleasant enough experience. 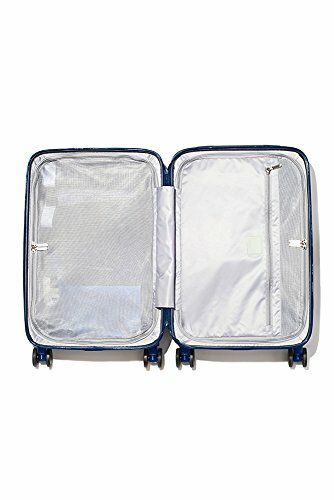 The fully lined interior of this suitcase is pretty similar to the interior of the CO-Z one; there is one packing compartment with a divider and several pockets. Heys America manufactures affordable and unique luggage. Most of their suitcases have the same features, with slight differences when it comes to the design of their interior. 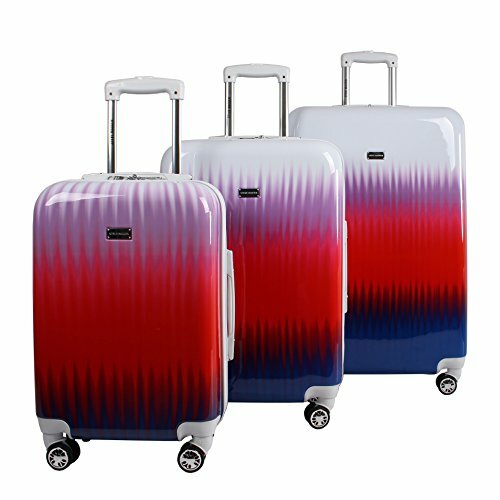 However, all of their suitcases have different, colorful designs that will definitely help you stand out in the crowds. This is somewhat similar to the Mia Toro luggage I reviewed a while back; where you also a have a lot of different design options, but quite similar specifications. And here are just a few of the beautiful designs these awesome suitcases are available in. Heys America Vintage Traveler 30"
Well, if you are looking for an ultimately unique piece of luggage, look no further. 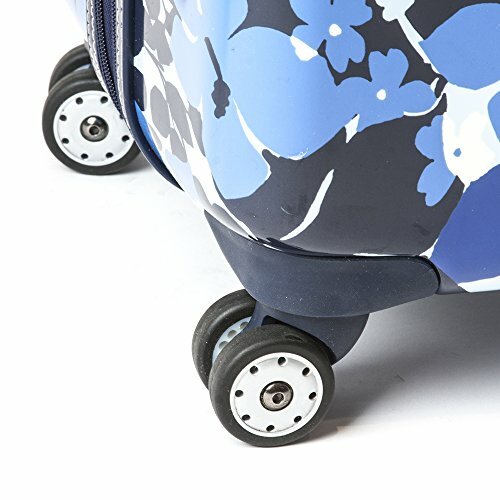 How ‘bout a suitcase that doubles as a scooter? The best part about this piece of luggage is that it’s approved as a carry on, and you won’t have to spend money on checked baggage fees. In terms of smart features, it has a power bank with 2 USB ports that allow you to charge your electronics on the go. 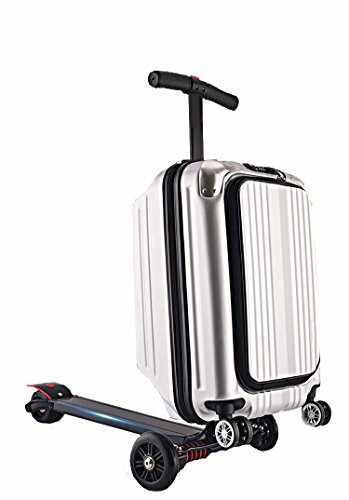 But in my opinion, the smartest feature of this suitcase is the scooter. You can save so much time going from point A to point B, especially on larger airports. And honestly, it’s just really cool! So, if you want to be the fastest and the coolest person at the airport, this is the luggage for you. As for other features, it is a pretty regular suitcase. It has a TSA lock, two spinner wheels and two packing compartments. In addition to that, it also has an exterior packing compartment for any items you want to have more easily accessible. But, the most impressing feature of this suitcase is it’s weight. With only 12 pounds, it’s actually lighter that the previous suitcase we looked at. And that weight takes the scooter part into account. How often do you actually unpack your suitcase when you arrive to a hotel? Or is it more often that you just leave everything in it, and rummage through your stuff whenever you need a change of clothing? 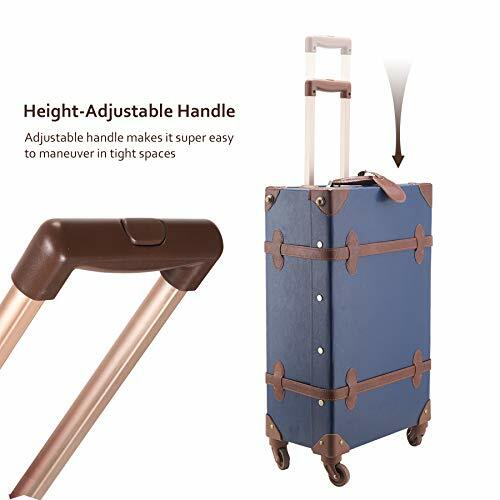 Well, this type of luggage is the perfect solution for those messy clothing piles on the floor. You don’t really have to unpack your suitcase, just hang it in the closet! All of your items will be organized and visible, and when it’s time to go home, you just have to push the shelving system back in. Sounds like a dream come true, right? If so, check out some of this awesome shelving luggage below. ** Please note that the shelving systems in the luggage below are not removable. If you like to travel light, this bag is perfect for you. It’s small and you can definitely use it as a carry on. And, the way this bag works is, you hang it on the closet rod, and all of the different shelves will extend. This gives you an overview of all your items and allows you to stay organized. Some of you might argue that it’s easier to just unpack all your items and put them in the closet, but I don’t agree. There is a ton of people (myself included) who will never do that, because the thought of having to put everything back in the suitcase is terrifying. 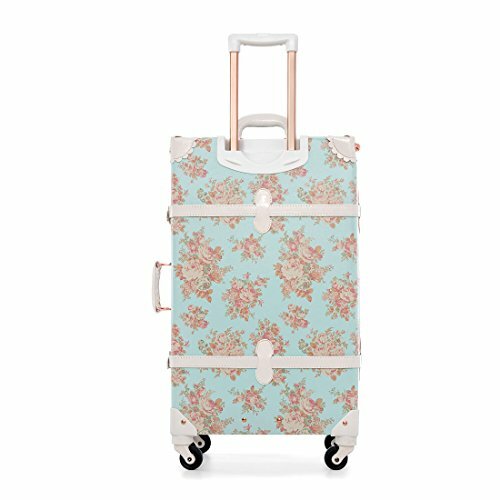 And, this type of luggage is perfect for those types of travellers. There are separate shelves for your clothes, shoes, socks, as well as a separate pocket for all the dirty laundry. 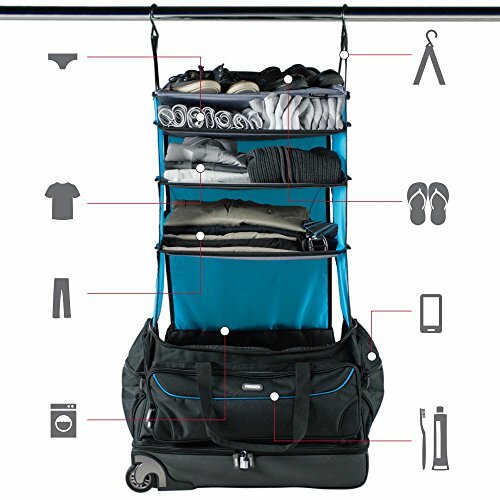 The bag comes equipped with hooks that you are supposed to hang inside the closet. It is small and lightweight, and it fits into all overhead compartments. This will inevitably save you money on checked baggage fees. The Rise Gear bag has an adjustable, padded shoulder strap, so you should stay plenty comfortable while carrying it. There is a suitcase extension holder on this bag that allows you to secure it on top of your other luggage. This makes the bag a great addition for some longer trips. Again, it is small. Because of that, this bag isn’t really great for longer trips. Additionally, the shelves do take up some space inside the bag, which leaves you with less packing room. It doesn’t have wheels or a handle, and you will have to carry this bag in your hands (or on your shoulders). However, it is lightweight so that shouldn’t be too big of a problem. There are no locks on the bag, which will be a problem for those of you that like to keep your stuff extra secure. Although, since it is a carry on, there really isn’t that much need for a lock anyway. 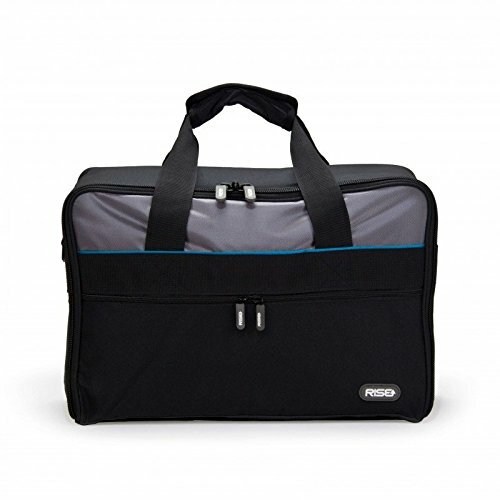 There are no dedicated electronics compartments in this bag. Therefore, you would have to squeeze your laptop somewhere between your shirts and pants, which might be a deal-breaker for some people. The Rise Gear roller has wheels and a pull handle, which makes it much easier to carry around. This bag actually has two different packing compartments. There is the bag itself, which features the shelving system, but there is also the lower compartment with wheels. Additionally, the upper part of this luggage can be unzipped from the lower part. The Roller has ergonomic shoulder straps, and you will stay comfortable when you have to pick it up and carry it. There are 3 exterior pockets on this bag, which are great for storing any smaller items, but also for items you need handy at the airport. The top compartment of the shelving system is zippered. You can use it to store shoes, or any other items that you know won’t stand still on these fabric shelves – perfumes, lotions, etc. The zipper pullers are designed so that they can be locked with a padlock. Unfortunately, it is unclear whether the padlock is included with the purchase. 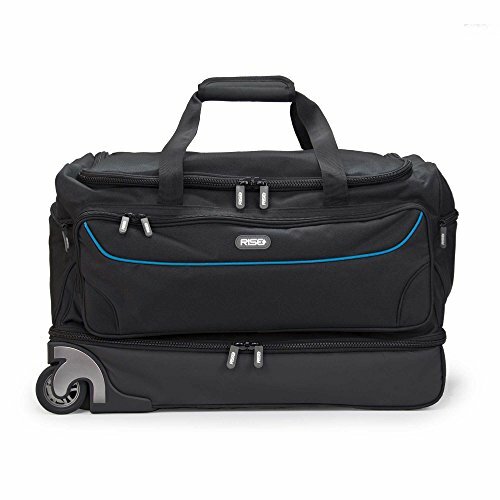 The wheels on this bag are not spinner wheels, so it’s going to be a bit more difficult to wheel this thing around, when compared to your Samsonite suitcase. This is a much larger bag than the previous one, and it falls into the category of checked baggage. Additionally, the wheels and the metal handle (although they are very useful) just add to the weight of the bag. Technically, you could unzip the top compartment and just use the duffel bag as a carry on. But, in that case, you are better off saving some money and just getting the Weekender (scroll down). Even though the zipper pullers can be locked, there is no actual lock on this bag. Additionally, two side pockets feature only one zipper puller, which would make it impossible to lock them. 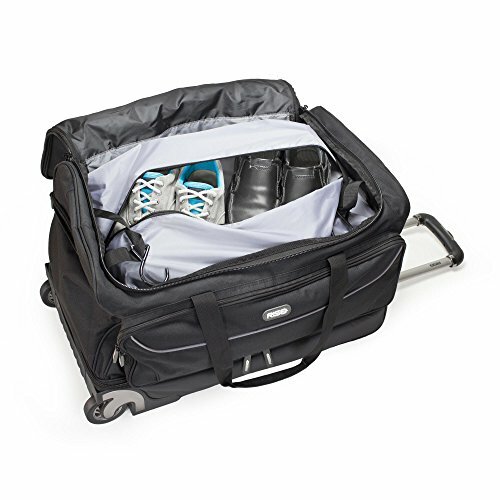 The Rise Gear Roller actually utilizes the Weekender bag as its top compartment. Therefore, everything I said about the Roller’s upper compartment applies to this bag as well. I don’t want to repeat myself because I don’t want to bore you to death by restating the facts. The only real difference between the 2 bags is their size; since the Weekender doesn’t feature the bottom compartment, it is obviously smaller and lighter. However, it still falls into the category of checked luggage. Well this is really a hard one. I honestly wish that I could get one of those vintage trunks with a shelving system and a power bank, but something like that doesn’t exist. So, it truly depends on what you are looking for. If you are looking for that will help you stay organized, then I suggest something with an internal shelving system. The Rise Gear Roller looks to be the best out of the bunch, primarily because of its convertible design. The two separate compartments allow you to use it like a regular suitcase, with the wheels and the telescopic pull handle. And, when you don’t really need the bottom compartment, you can just unzip the Weekender bag and use it as a duffle bag. 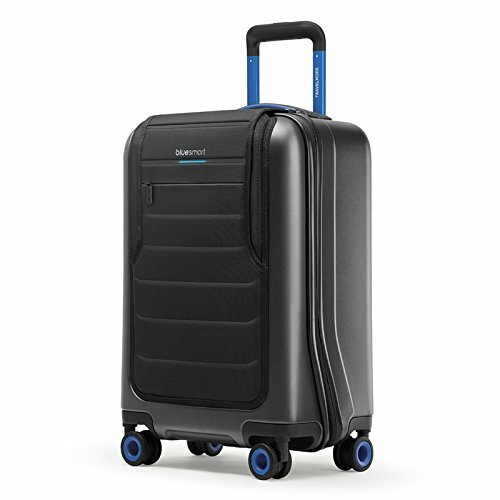 For the more modern travellers who are looking for smart luggage, I would suggest the Bluesmart One suitcase. It has a ton of cool smart features, such as the 10,000mAh power bank, Bluetooth and integrated SIM card. On top of all that, you can control most of the suitcase’s feature with your phone, which is perfect for all tech-savvy travellers who are used to smart surroundings. With the Bluesmart you can bring a dash of technology into another aspect of your life. 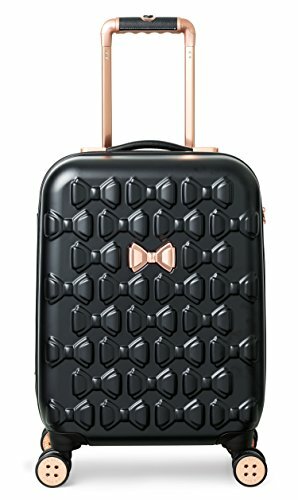 Unique and distinctive moulded bow shell made from lightweight and shock resistant polycarbonate, with iconic Ted Baker rose gold bow logo plate. 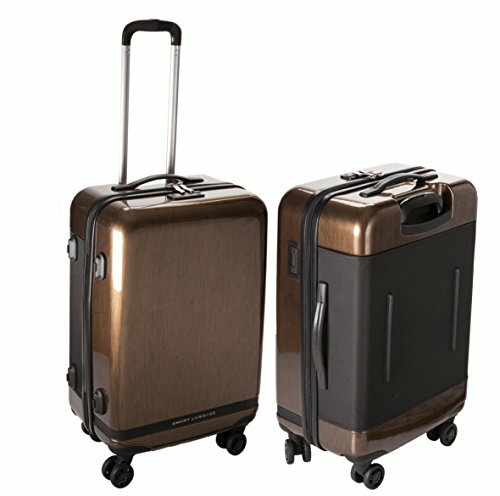 State of the art aircraft grade aluminium, lightweight trolley system in signature rose gold finish. New feminine "Packed, wrapped and tied in a bow.." printed Ted baker lining. Four smooth rolling double wheels for ultimate 360 degree manoeuvrability. Fixed TSA combination lock. All hubcaps branded with Ted Baker trademark and all hardware is finished in rose gold. Internal pockets for organized packing. Five year manufacturer's guarantee. I notice there have many same luggages with me. I don't want to say anything. Buying should be according to goods not price. Retro 3 password lock: Easy to set or reset and will protect your suitcase. Polyester lining: Pink printing design with our LOGO. Outside pu leather. Partial waterproof and easy to clean. You could only use stupe to wash the outside. Don't worry about that it will be dirty. Adaptive positioning pull rod: Featured high quality aviation aluminum,lightweight aluminum material makes it anti-compression ability and smooth lifting. Multi gear design can meet the needs of different groups of people. 360 Spinner wheels: American SJ.TOBOL's high quality wheels with super sound-off,built in bearing. Although the wheels are made off TPSIV Injection molding silica gel, which is elastic and wear-resisting. Dimensions & Weight: 30" x 13" x 18.5"; 11.2 lbs. And, that is about it, when it comes to unique luggage. 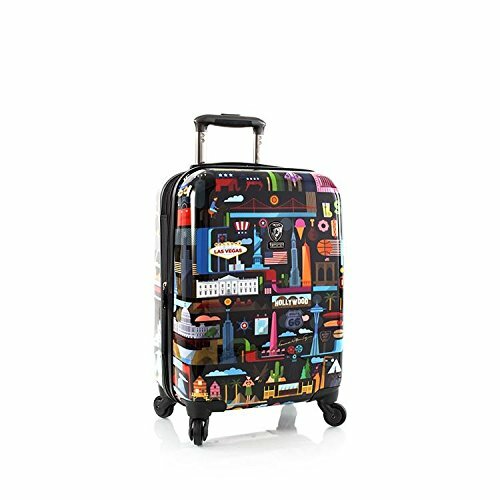 If you loved any of these suitcases, head over to Amazon to get yourself an incredibly good deal!